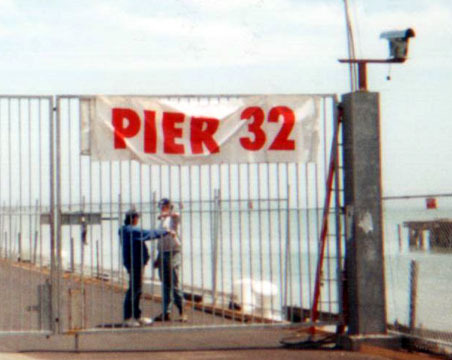 Welcome to Pier 32, now go home....Andy & Graham discussing the fine points of camera placement. 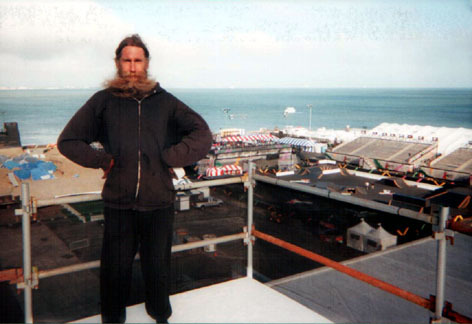 Bill Garbe joined the EPS team for the X Games. In the back ground (L-R) is the dirt course, X Center (with red & white canopies), street course & bleachers. Picture taken from top of the snowboard jump. 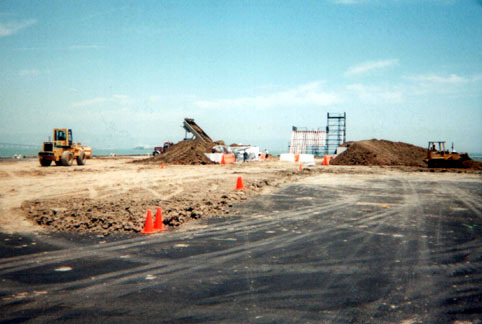 Construction of the dirt course. 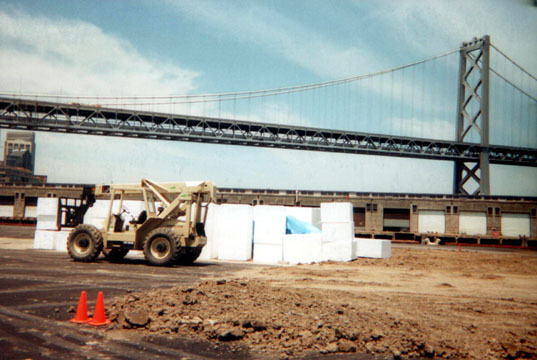 Due to pier weight restrictions, the jumps were build with large foam cubes covered with dirt. Dirt course again. 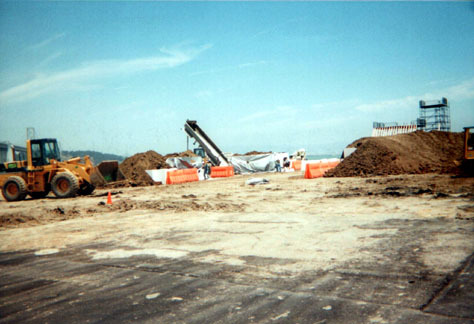 The tower in the distance was the starting tower for BMX.